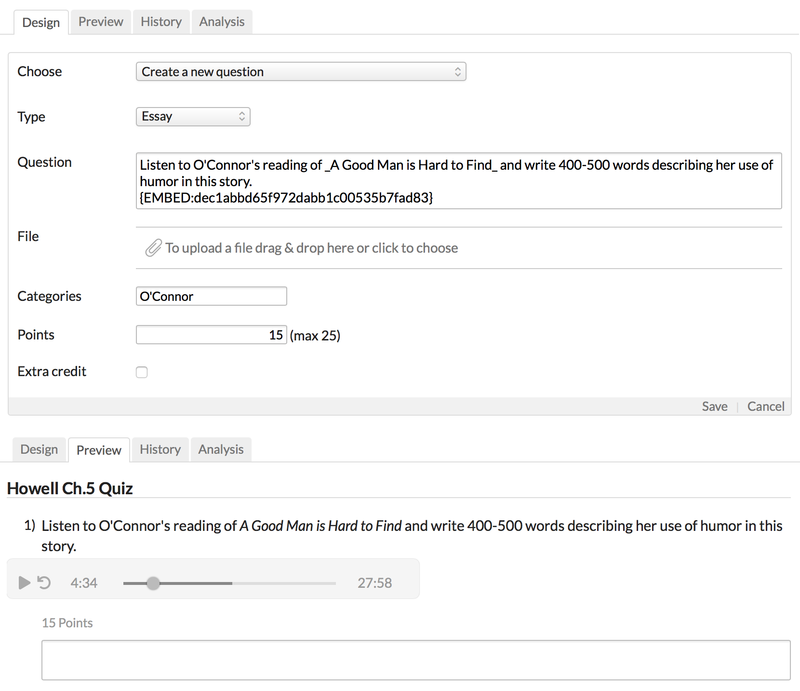 In this article, you'll learn how to embed files in test questions and text blocks. First, you'll need to get the EMBED code for the file. Find the file you'd like to embed in the test. You can grab the EMBED code from files uploaded on the Course > Info view. You can also look for files you've included in Lessons. Click and select Get embed code. Click the X to close the file viewer. Go to the test's Design view. Add a question or add/edit a Text block. Paste the embed code right in the field for the question or text. After finishing the question/text, click Save. You can see how the file embed will look to your students by clicking Preview.